Medium weight temperature zoning products of up to R-8 can be made in a retractable type of design, which builds in temperature zoning flexibility. 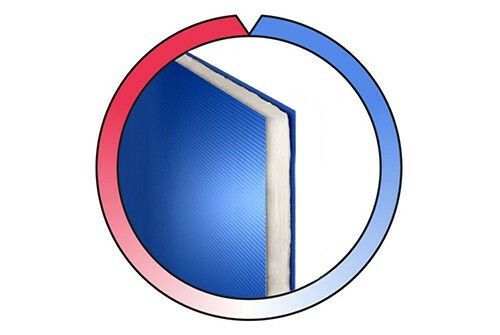 Softwall construction is utilized up to R-15, at which point the construction would shift to a semi-rigid, stationary climate control curtain. 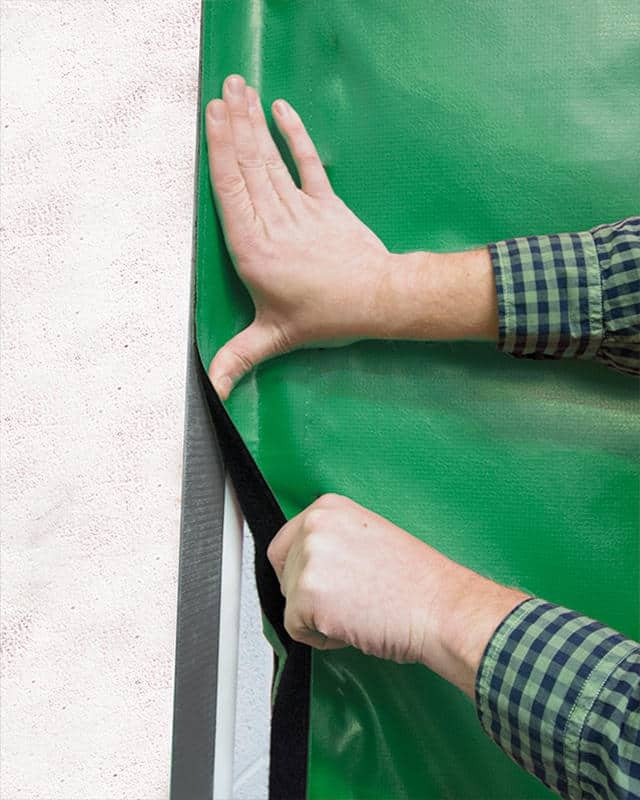 A major and significant factor in the effectiveness of your curtains is also edge sealing, which would eliminate the airflow from where all sides of the climate curtain meet the building’s interior construction. 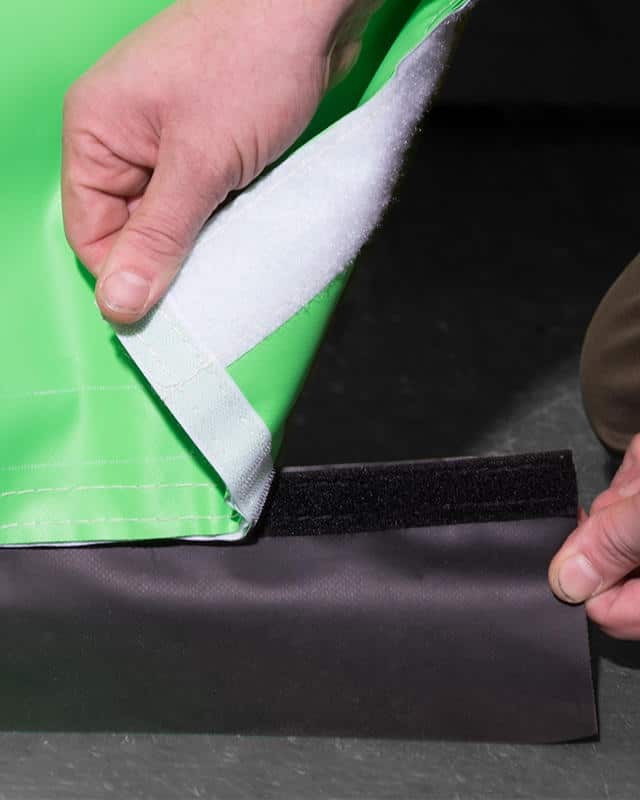 Zoning each area to fit temperature differential requirements is the primary function of AmCraft climate curtain systems. 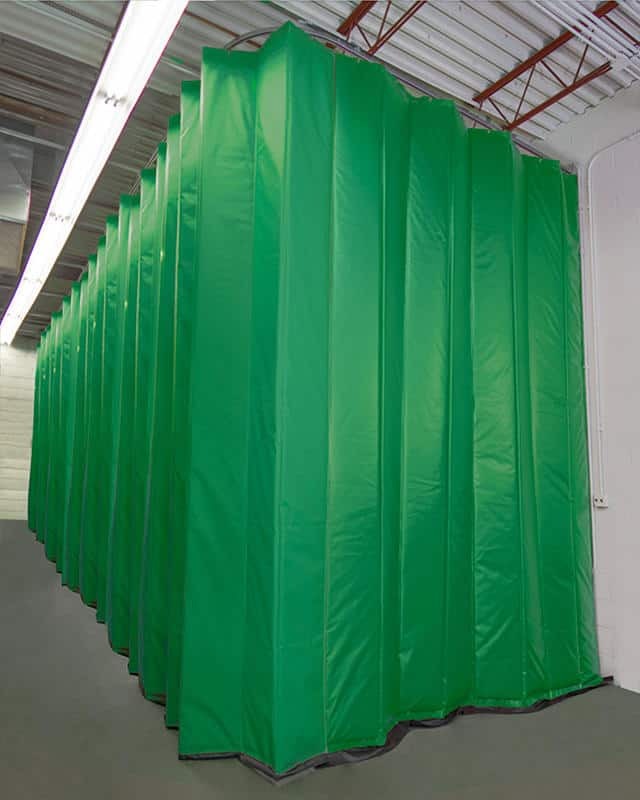 Our insulated curtains double as a room separator and climate control, which will provide you with amazing savings on heating and cooling costs as well as creating the desired environment for each given space in your facility. Using medium weight temperature control curtain walls increase your effective R-value to between R-8. This insulation level is commonly used for produce storage and pharmaceutical production warehousing. 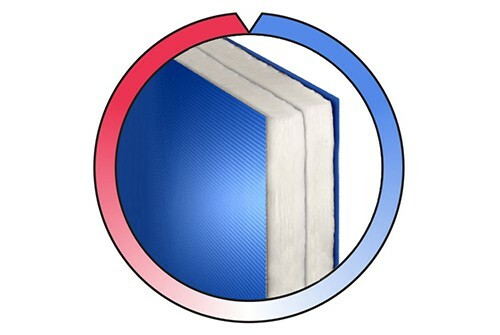 The medium weight insulated curtains/panels are designed for a 20° temperature separation. 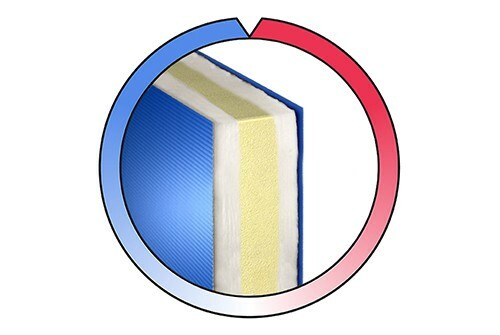 Since a given air space to material structure ratio is specific to each type of insulation, it is common knowledge that compressing any insulation so as to fit more of it into a given space will increase the overall R-value of that space, but not proportionally to the additional insulation. 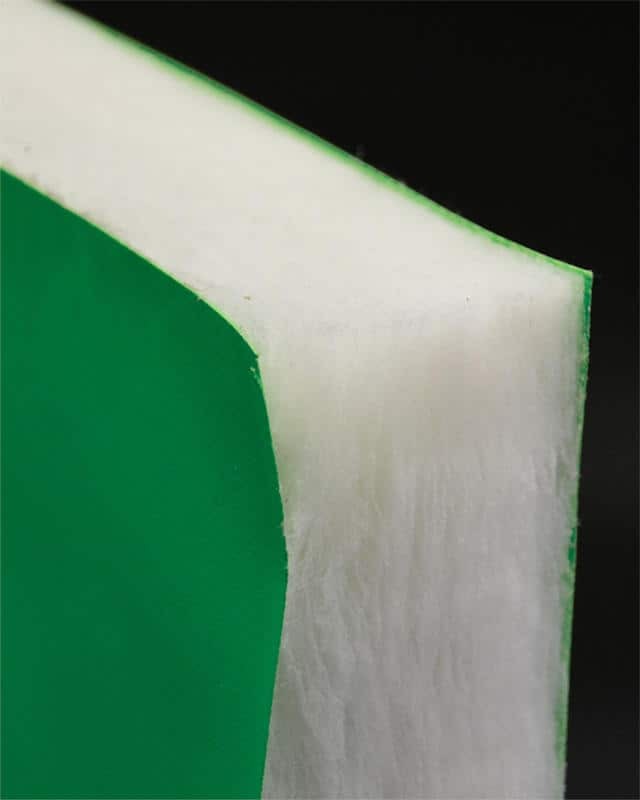 For example, two layers of 3” thick R-10 insulation compressed into a 5” space will NOT render an R-20 insulation value. It is best to know all aspects of the potential temperature barrier situation as different insulations combat heat transfer better than others in a given arrangement (i.e. interior/exterior, sun, wind, etc). To achieve a better understanding of what your project needs are, contact us today! Our technical representatives can assist you with the requirements of your area.